If you decided to become a freelance writer, one of the best ways to start getting out there and telling others you are a freelance writer is to use social media. For freelance writers, I suggest you stick to Twitter and LinkedIn first. Later on you can dabble in Instagram or Facebook if you feel you can land more freelance jobs there. When I first started, I never used Twitter, LinkedIn or Pinterest. I had a personal Facebook profile to keep in touch with my family. That’s it. I was NOT on social media. So, when I decided to work from home as a freelance writer I had to learn about social media. I didn’t even know what “tagging” was or the purpose of LinkedIn. 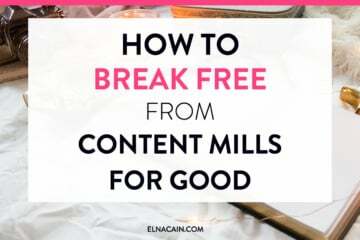 I had to learn which social media platforms to use for my freelance writing business and how to effectively market my business on those social platforms. Of the two social media platforms, LinkedIn is the best platform to network and really find the best type of client for you. I view LinkedIn as the professional Facebook platform. You have a profile that shares who you are and what you do and instead of posting cute and fun things, you post your past work experience. You can join LinkedIn groups and you can follow Company pages. 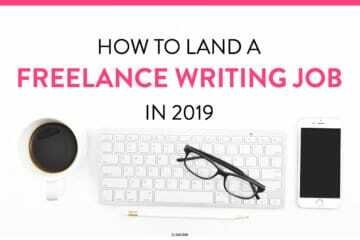 You can also connect with other freelance writers or request to follow other types of freelancers. Now, for years, I’ve had my profile sit on LinkedIn as is. Over time I added new projects and occasionally updated my title and bio. LinkedIn over time has also changed and has updated their profile features. In light of this, I decided to shake things up. In my YouTube Video, I share with you a LinkedIn hack that you can use to land more gigs. Check out the video and make sure to subscribe to my channel to be notified first when new videos get published! The new thing I started doing on LinkedIn was take advantage of the banner image for my profile. Before this “hack” I just posted a pretty stock photo for my banner image. But, I decided to do some experiments to see if I optimized my banner image would I attract my ideal client – digitally native brands – and get more views to my profile? Remember, most prospects will take a quick look to see if you are the writer for them. You have less than 5 seconds to convince them you can write for them. So, your banner image can help you keep the attention of potential clients. No matter what niche you are in – pet writing, real estate writing – it’s important to have the right information on your banner image. Personally, I feel they are your name, your blog and your niche if possible. It’s okay to be redundant in your banner image. I have two images of me – that’s okay! It makes me more personal. How Does This Help With Landing More Freelance Gigs? Doing this one thing makes you more personable and more unique. Prospects will remember your profile if you have a customized LinkedIn banner image. Once I updated my banner image and did some marketing tactics that I explain & show in Write Your Way to Your First $1k, I improved the views to my profile by 57%. This “hack” is a warm pitching hack as well and takes time to develop clients. But, it’s my favorite strategy to land long-term recurring freelance work. The editing tool I used to create my LinkedIn banner image was Canva. It’s a free tool that has templates – like the LinkedIn banner template – to use. If you want to see how I created this banner, make sure to check my YouTube video! On top of using LinkedIn, you should also be trying other platforms to market your writing business. Guest posting is by far the best strategy as it has a high ROI – rate of return. By guest posting on other people’s sites you reach a new audience and it may land you work from the blog owner too! Guest posting also helps you build your portfolio. With a bylined article, you can link to that on your Portfolio page or upload this to your Contently portfolio. I have mentioned previously, but networking is the backbone of your freelance writing business. Without networking, you will not succeed! It’s that important. Networking can be as simple as following other companies and as complex as guest posting or emailing them. Some of my best freelance writing jobs was a result of networking! Content marketing still relies on blogging. Businesses use blogs as their lead generation strategy and it’s no different for you – the freelance writer! 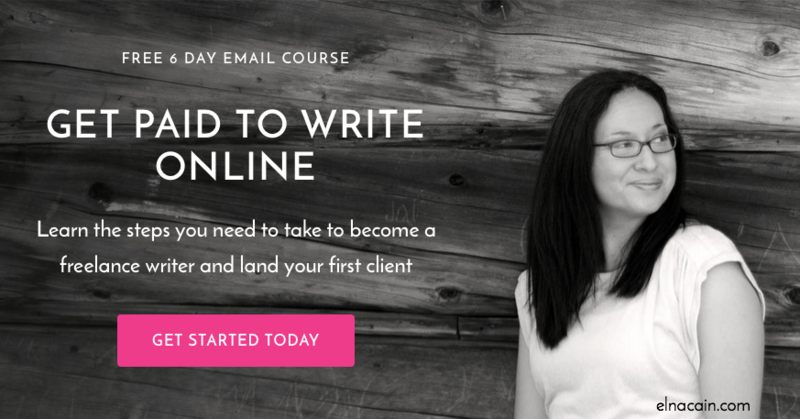 You can start a blog to attract some amazing clients. It has happened to me numerous times. 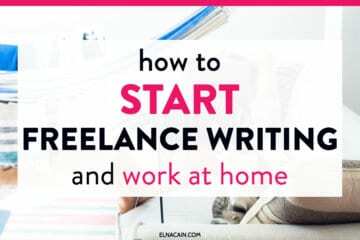 If you need help starting a blog for your freelance writing business, make sure to check my totally simple step-by-step video. Okay – I want you to try this LinkedIn hack and when you’re done, share your LinkedIn profile so I can view it! Thanks and remember to share this post! Thanks for your wisdom, as usual! I love it! Looks professional! I thought of using LinkedIn banner but since I’m just starting my freelance writing business I didn’t know what to put on it. maybe I’ll use it when I have more experience. So happy you found this LinkedIn marketing strategy to work for you! Good luck! This post is very informative, especially, for freelancer like me. I have been in this field – freelance writing – but not successful. I was doing freelancing on Upwork but not much. Last year, I earned only USD400 during the whole year, and now they have suspended my account due to not getting clients and doing work. I was seriously thinking about leaving this freelance writing and revert back to my HR management job, but your posts and veteran like you have kept me live, and I am still strugling in this ocean of freelance writing. Thank you for your post, it was very helpful to me, and I shared it on all four social medias. Can you send me some free e-book on social media marketing because I am lacking in social media marketing, and I don’t have money to attend any course on social media marketing. Sorry for such a long comment, I hope you will not mind it, as you know I am “small child” in this field. I’m sorry about your account getting suspended. But, it might be a blessing in disguise! 🙂 Keep plugging away and hustle hard! Thanks for this quick LinkedIn hack Elna! 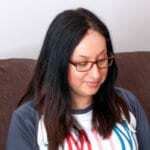 I’ve just started my freelance writing business a month ago and your content is SO helpful! You give advice that other people just don’t, and I truly appreciate how you keep it real and share what works for you! Thanks so much! You’re first commenter! Yay! So glad you enjoyed this LinkedIn hack. I hope it helps you attract high paying clients!